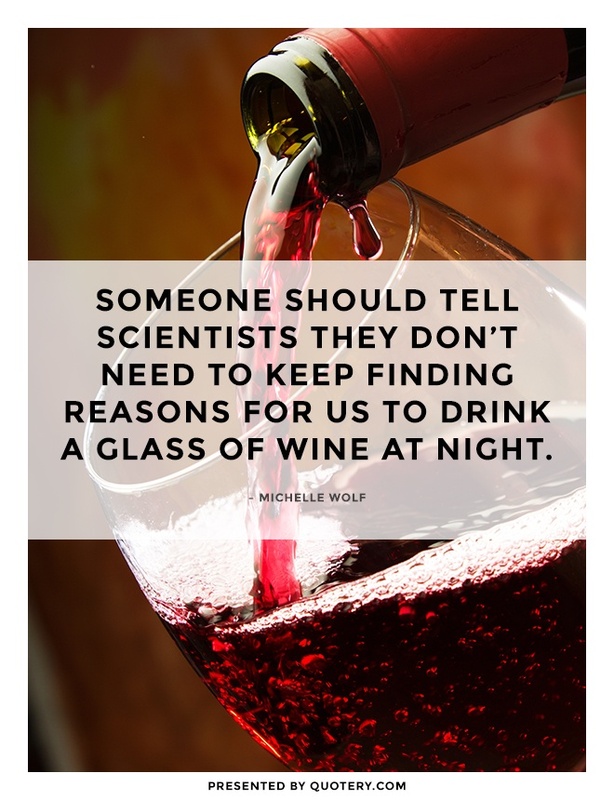 Someone should tell scientists they don't need to keep finding reasons for us to drink a glass of wine at night. Wolf, Michelle (@michelleisawolf). “Someone should tell scientists they don’t need to keep finding reasons for us to drink a glass of wine at night.” 12 Jul 2012, 1:07 p.m. Tweet. Source: Wolf, Michelle (@michelleisawolf). "Someone should tell scientists they don't need to keep finding reasons for us to drink a glass of wine at night." 12 Jul 2012, 1:07 p.m. Tweet.